Our Gold Sponsor Nexmo, a Vonage Company, is a global cloud communications platform, providing innovative communication APIs and SDKs for messaging, voice, chat app and phone verification services. The Nexmo APIs enable developers (you) to easily and security integrate communication features into applications, no matter where in the world the users of these apps are located. Companies including Snapchat, Uber, Telegram, KLM and Airbnb send millions of messages per month using Nexmo APIs. Be sure to check out the Nexmo Challenge in the Hackathon, and the prizes to be won. Mozilla is a global, nonprofit organization dedicated to making the Web better. We emphasize principle over profit and believe that the Web is a shared public resource to be cared for, not a commodity to be sold. We work with a worldwide community to create open source products like Mozilla Firefox, Firefox Developer Edition, and to innovate for the benefit of the individual and the betterment of the Web. The result is great products built by passionate people and better choices for everyone. Twitter was born on mobile, and we know what it takes to design, release, and grow a great mobile app. Fabric was crafted with both power and ease-of-use in mind – it’s our modular mobile platform which makes it easy for developers to build the best apps. Fabric combines the services of Crashlytics, MoPub, Twitter and others to address some of the most common and pervasive challenges that all apptwitt developers face: stability, distribution, revenue and identity. Samsung has always been at the forefront of innovation and we want you at our side, leading the charge. Our goal is to bridge the gap between developers and consumers, providing you with all the resources you’ll need to jumpstart your development. From a brand new Samsung Developer Program to the latest SDKs and in-depth training materials, we’ve got everything you’ll need to create the next big thing. GitHub is how people build software. 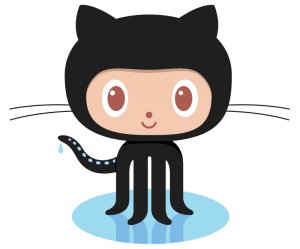 Millions of individuals and organizations around the world use GitHub to discover, share, and contribute to software—from games and experiments to popular frameworks and leading applications. Together, we’re defining how software is built today. Pluralsight is an on-demand technology learning platform you count on to stay relevant, with tools that measure your skills and solve your problems—faster. Join the One Hour Challenge to experience the power of continuous learning, earn exclusive badges and win sweet prizes like X,Y and Z. Join today, and we’ll set you up with 30 days of free access to get started. Thanks to the generous support of our sponsors, we have always been able to cover the costs of putting on OTA. This allows in-house developers without conference budgets, freelancers, students, bootstrapping start-ups and anyone else enthusiastic about mobile, web & software development and hardware hacking to attend. Itʼs a unique opportunity to not only gain kudos, gratitude and great brand exposure, but also to roll up your own sleeves and get directly involved with the developer community. The Hackathon element of the event concludes with an Awards Ceremony for the winners of the various Hackathon competition categories and bespoke Hackathon Challenges – and we love to give away fun prizes. Think in terms of devices & gadgets, prototyping hardware, programming books, or value-in kind for access to software and platforms. At an event like this, there are always lots of little costs – printing posters, buying administrative supplies, and so on. If you’re not in a position to offer financial support, but can cover some of these smaller details at the event, then your help would be most appreciated!